For any industrial economy to thrive, a strong manufacturing sector is key, economists agree. It follows that the goods produced get bought and sold quickly, and in significant volume. To make this happen, of course, vendors and customers do best with efficient and accessible shipping and receiving operations. Such units allow for the optimal inflow and outflow of equipment and merchandise. The success of this enterprises begins and ends at the loading dock. More to the point, it starts and stops at the warehouse door. This begs the question: what doors are best for both easy access to storage and strong protection against unauthorized entry? 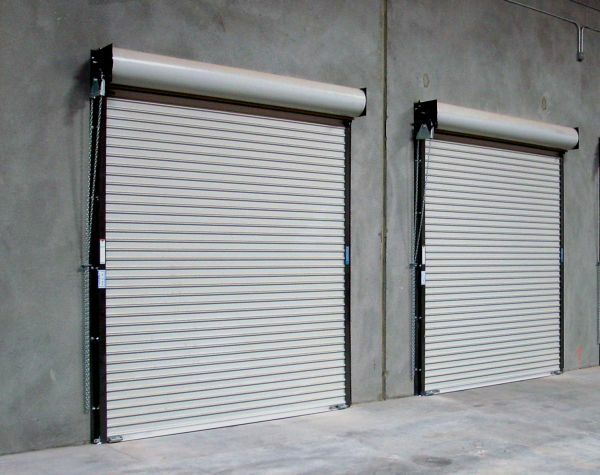 Warehouse doors are designed to maximize the traffic of materials into and out of storage facilities. They may be roll-up designs, swinging doors or strip doors. Made of steel, wood, plastic or vinyl (or composites of each), these gates serve to protect contents from the elements; maintain a constant climate within the warehouse; block uncertified personnel from access; and separate shipments to avoid inadvertent co-mingling. These doors can also cut off noise from the outside or from other parts of the building. Since each warehouse stores distinct and various items, the doors will be equally diverse. To be sure, warehouse doors are most often wider and higher than the typical portal. Whether the repository holds retail merchandise, office supplies or heavy equipment, the doors must accommodate for the dimensions required by wholesale units. Auto parts, for example, come in differing sizes and can be shipped in containers equally diverse. At the same time, the largest doors may not be necessary if the contents can be layered of nested. The good news is that warehouse doors are available for almost any contingency. Wide pallets might do better through a steel roll-up door than through swinging doors on hinges. Warehouse doors can be customized to each business. Automatic doors may be more expensive but, if traffic is frequent, can expedite shipments. Where can warehouse doors be found? It might surprise some that a facility need not be 75,000 square feet to require the accessibility of warehouse doors. Some such doors, in fact, open into storage areas that may more properly be considered stock rooms. Other settings include office buildings, schools, hospitals and even churches. Wherever a large volume of supplies is needed on a regular basis, there are bound to be warehouse doors. When width space is tight, roll-up doors help to optimize available room. They can be manual or automatic; include lift bars or pull straps; have sill plates or not. Swing doors, on the other hand, can often accommodate taller pallets, and will be unaffected when freight is deposited flush against them on the loading dock. A third alternative is found in sliding doors. All in all, the most effective doors depend on the kind of freight moved and its mode of containment.